The UK’s largest coffee chain is to become the first to commit to recycling the same volume of takeaway cups used by its customers every year in a bid to stop hundreds of millions needlessly ending up in landfill. Costa Coffee has pledged to recycle up to 500m coffee cups a year by 2020 – the equivalent of its entire annual use of takeaway cups and one-fifth of the total 2.5bn takeaway coffee cups used in the UK each year. The chain of more than 2,000 UK stores has created a new model which it says will guarantee the recycling of cups by incentivising waste companies to collect them and send them to recycling plants, and could lead to 100m cups being recycled this year. Disposable cups cannot be recycled by normal systems because they are made from cardboard with a tightly bonded polyethylene liner, which is difficult to remove. As a result, just one in 400 cups are recycled. 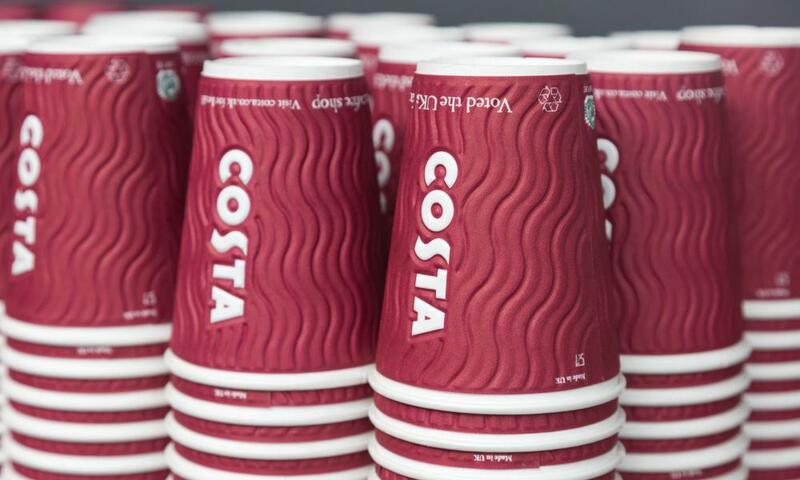 From Wednesday, Costa is to pay a supplement of £70 to the waste collectors for every tonne of cups collected, to make it more financially attractive for them to collect, sort and transport coffee cups to recycling plants, meaning fewer cups will end up in landfill. The company says these extra costs will not be reflected in higher prices for consumers. Among potential solutions to the coffee cup problem, MPs on the environmental audit committee recently proposed a 25p “latte levy” on all hot drinks bought in takeaway containers. The coffee chain Starbucks is currently trialling the impact of a 5p levy in a three-month pilot, while Waitrose has announced plans to remove all disposable coffee cups from its shops by this autumn. Costa offers a 25p discount to customers who bring in a reusable cup, while Pret A Manger offers a 50p reduction. Costa’s announcement is in partnership with five national waste collectors – Veolia, Biffa, Suez, Grundon and First Mile. The move means that the three UK paper mills –James Cropper, ACE UK and DS Smith – that can recycle cups containing polyethylene plastic can potentially boost their recycling from 14m cups to 100m this year.